Today at Bling Sparkle we have an interesting topic to talk about which is none other than the Panjab Univeristy which is one of the biggest Universities of India. 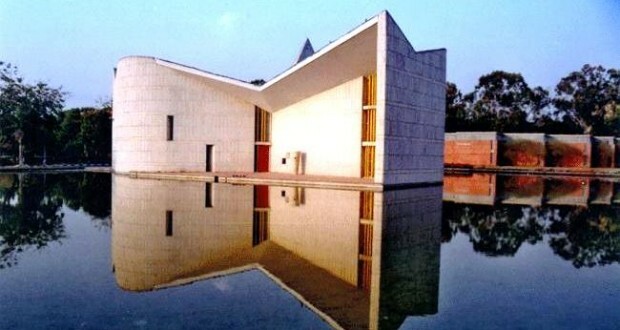 The Panjab University is a public autonomous university which is located in the Chandigarh union territory. Panjab University rankings are quite spectacular. To have been ranked No.1 in the Times Higher education world university rankings, number one in Indian University rankings and 32nd in the whole of Asia, this university has one of the most magnificent campuses which is spread over 550 acres. This university was established sixty-five years before Indian Independence that is in 1882 in Lahore( Pakistan ). After partition, it was relocated to Shimla and then again to Chandigarh in 1956. The university is famed as one of the oldest Universities in India. It has 75 teaching and research departments along with fifteen centres for teaching and research in the main campus. This University has 10 affiliated colleges spread over the different states of Panjab, Himachal Pradesh, Haryana and the U.T. of Chandigarh, with Regional Centres at Muktsar, Ludhiana and Hoshiarpur . It has four constituent Colleges located at Sikhwala (Sri Muktsar Sahib), Balachaur (SBS Nagar), Nihalsingh Wala (Moga) and Guru Harsahai (Ferozepur). The Panjab university has four museums, one botanical garden, and one garden for medical plants. Similar to a self-sustaining township, the Panjab University campus has amenities like a State bank of India branch, post and telegraph office, seminar complexes, staff club, public transport system, open air theatre, guest and faculty houses, several spacious lawns, botanical and medicinal herb gardens, a rose garden, a school and a day-care centre for the employees' children. The Panjab University was incorporated for the purpose of imparting knowledge and education in Arts, Law, Science and the other learned professions with the power to appoint University Professors, Readers and Lecturers of the University, to hold and manage educational endowments. Every educational institution is incomplete without sports. If education is like food, sports and extra curricular activities are like water. Both are equally important. Hence, it's necessary that a University has a good Sports facility too. The Panjab University has playgrounds for all major sports, such as a gymnasium hall and a high standard swimming pool its sports activities. The Panjab University has been esteemed with the Maulana Abul Kalam Azad (MAKA) award trophy fourteen times for its excellence in games and sports at the all India Inter-University level. Isn't that simply amazing?!! For the reasons above and a hundred more others, Panjab University is the most preferred university for thousands of students today. What with it's brilliance in education and efficiency in sports, one can never resist being a part of this education giant!